The hatred belched out by Rep. Ilhan Omar (D-MN) has gone from bad to worse. Via a Sunday evening twitter rant, she suggested Republicans support Israel because those rich Jews bribe GOP members of Congress through AIPAC. 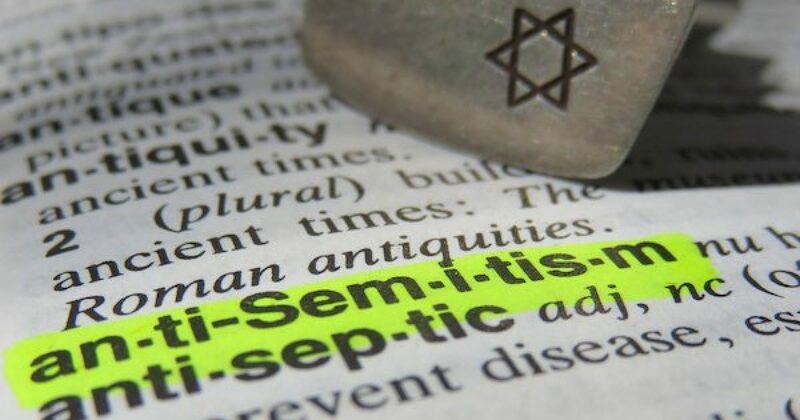 The introduction to the resolution points to the Antisemitism coming from different elements of American society specifically naming the group or individual pushing the hatred, from Louis Farrakhan and Students for Justice in Palestine to Linda Sarsour and Pittsburgh Synagogue murderer Robert Bowers. (1) That the House of Representatives rejects anti-Israel and anti-Semitic hatred in the United States and around the world. Lee Zeldin’s resolution should have been non-controversial, it doesn’t ask for a border wall, beds for illegal immigrants or tax cuts, only that the House reject hatred. So far, Speaker Nancy Pelosi and Democratic leaders have declined to bring Zeldin’s bill to the floor or to condemn the Democratic freshmen for their Antisemitism. Frustrated with the lack of movement on HR 72 House Minority and the increasing Antisemitism in the Democratic party, during a Friday press conference Minority Leader Kevin McCarthy answered a reporters question by demanding the Democratic leaders’ at least rebuke progressive freshmen for their hatred. McCarthy said, “There are situations in our conference where a member does something that is wrong — I think you’ve seen from my own actions that I take action. I think when they stay silent, they are just as guilty. And he pointed out the GOP’s punishment of Rep. Steve King after he questioned why the terms “white nationalist” and “white supremacist” were considered offensive. To sanction the Congressman King was stripped of all his committee assignments by the McCarthy and the GOP caucus leadership. Two days later Glenn Greenwald who is most famous for publishing secret American documents supplied to him by Edward Snowden tweeted support to Rep. Omar and covering up her anti-Jewish statements by calling them anti-Israel. Rep. Omar responded with “It’s all about the Benjamins baby.” Benjamins being $100 bills. The Minnesota representative was referring to an old and particularly disgusting claim of the anti-Semitic movement — that Jewish money fuels backing for Israel. One response to Omar asked, “Would love to know who @IlhanMN thinks is paying American politicians to be pro-Israel.” She answered with one word, AIPAC! As a not for profit organization, AIPAC, the American-Israel Public Affairs Committee doesn’t donate directly to candidates. Its members do give money to political campaigns, in the same way, members of any other advocacy group donate to the campaigns of candidates they agree with, from labor unions to the Iranian American Political Action Committee (IAPAC), which gave money to NY Senator Gillibrand. Interestingly AIPAC’s influence amongst Republicans has diminished since they tried to get the party to change its 2016 platform because it was more pro-Israel than the Democrats. Even Chelsea Clinton commented and Rep. Omar replied with a tweet suggesting she doesn’t get it, that the who anti-Semitic thing is just a Republican smear campaign. If they don’t speak out will Jewish Americans make them pay at the ballot box? Sadly, that isn’t very likely as my fellow Jews tend to believe the false charges of bigotry against this president made by the liberal mainstream secular and the liberal Jewish media such as The Jewish Week out of New York or the Jewish news service the JTA, while ignoring the real bigotry coming from the Democratic Party.